Mechanically, industrial computers are stronger and environmentally rated to withstand extreme shock, vibration, humidity and temperature. However, because of its robust design, an industrial computer is more expensive compared to other types of standard computers. Primarily, they are used for data acquisition and process control. In several instances, an industrial PC may simply be employed as a front-end for another control PC in a distributed industrial processing environment. Virtually all industrial based PCs share one basic design philosophy meant to provide a controlled environment for the installed electronic elements to survive the plant floor rigours. The components themselves may be picked due to their superior ability of withstanding lower or higher operating temperatures. Panel computer systems are designed and configured using a variety of integrated touch screen PC technologies. The ruggedised panel PC is an inexpensive, compact and powerful computer system that offers latest technologies that have system integration features that are innovative as demanded by today’s industrial settings. Touch panel PCs come with a host of technological features making them perfectly suited for usage in automation, as operator panels, or as safe system platforms for machine control. Compared to conventional hard drives, Solid State Drives provide much higher performance. Your PC responds to inputs much more quickly and programs launch faster, the OS starts in seconds, and resumption is instantaneous. 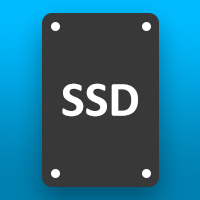 Additionally, SSDs offer higher reliability, less noise, lower power consumption, nil vibration, smaller physical size, and higher shocks resistance. Not only are they easy in terms of installation and maintenance, but fans are also a very efficient method of removing heat from the industrial computer components and in bringing in cooler air. This is essential for maintaining a steady optimal temperature for efficient operation.